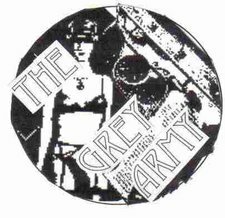 S.A.R.X., the Grey Army, RottenFiends, Mind Between the Lines, D.I.Y., D.T.B.S. Will play your basement, for Beers and Bullets! Why are we Yelling! in Chorus! Octogenarians get in for free at all Live-Fire Exercises! Free Buttons for Veterans!